Launceston Businesses | Launceston Then! Fry’s Wallpaper and DIY shop was the first DIY shop to open in Launceston. Started in Race Hill by Mr. R. L. Fry and Mrs. B. D. Fry in the early 1950’s. Sylvia’s hairdressers were started by Sylvia in 1950 on the second floor of her father’s greengrocery shop in Madford Lane. As the business grew, she expanded on to the third floor. When her father retired in 1957, she took over the whole premises and became one of the first open plan salons in the town. 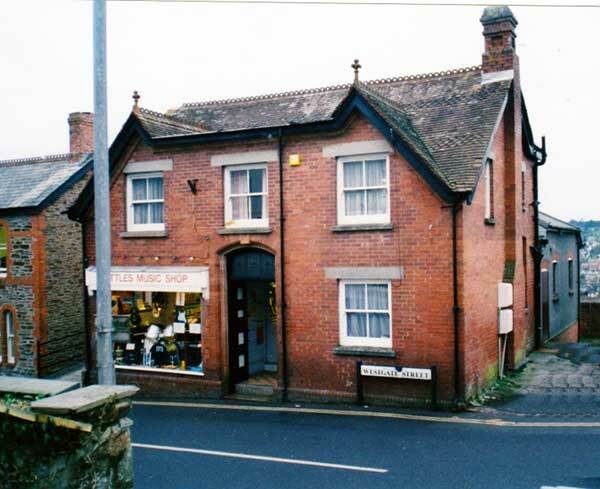 As trade developed, the Madford Lane premises became too small, so in 1977 a derelict site was purchased in Church Street, and a purpose built salon and shop was built. Tottle’s Music Shop was opened in 1938, when Mr. Arthur Henry Tottle moved into premises in 30, Westgate Street. In the latter years the business was run by brothers Brian and Evan Hatch who developed the business by offering famous makers such as Hammond, Lowrey and Kawai for electronic organs, keyboards and digital piano’s and acoustic piano’s from Britain’s highly respected manufacturers. On Brian’s retirement in the 2011 the shop closed and the premises sold. Truscott’s began from humble beginnings in 1881 when Mr. Alfred Truscott set up his own horse-drawn taxi service at Rilla Mill. Alfred was the son of Cordwainer James Truscott and his wife Elizabeth. Born in 1853 at St. Stephen in Brannel, near St. Austell. 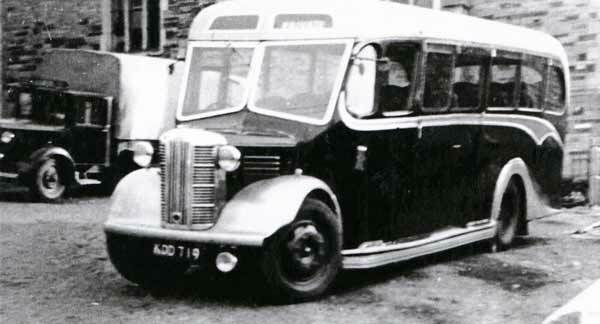 With his sons they began to operate a motor bus service between their base at Rilla Mill to Liskeard. In 1932 they started to operate a service through Upton Cross and Minions, up the Fowey valley to Bolventor, then onto Trewint and Five Lanes with their final destination Launceston. The business was expanded with the acquisition of James Wooldridge’s coach business and in 1937 the firm took over the coach business of J. B. Smith and Sons as well as taking over the North Petherwin route from a Mr. Venner. Truscotts Austin KOD719 parked up in the old sheep market car park. This gave them control of the service from the railway station to the town as well as organising coach excursions, in addition to operating a filling station and repair garage from premises in Western Road. In 1937 the firm were appointed Opel dealers. In April 1938, the company sold their coach business to Western National Omnibus Co. Ltd. leaving the company to concentrate on its motor car business. Over the following decades they took on various other agencies before becoming the local Rootes group agency. In 1972, Baron Truscott retired and sold the business to brothers John and Barrie Boundy. The Boundy’s were set on developing the car sales and it was very apparent that the premises in Western Road and Bounsalls Lane were not big enough to cope with this expansion, and so on land that once held Launceston’s Southern Railway Station, the brothers built new showrooms and workshops. By this time the Rootes group had been purchased by the American Chrysler organisation who themselves sold the business on to Peugeot in 1978. With this takeover, Truscott’s were soon made the Launceston agents for Peugeot, a relationship that still exists to this day. John and Barrie eventually retired and sold the business on.